Compact, high capacity instantaneous water heater with simple operation. 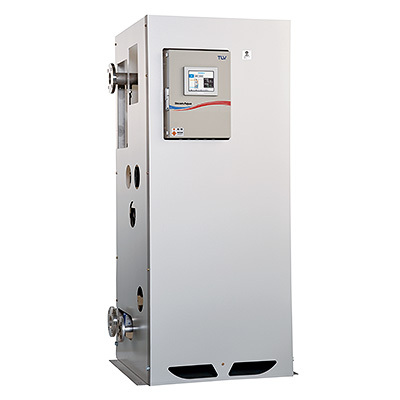 SteamAqua® quickly produces a stable supply of water up to 95°C for heating and hot water supply. Hot water at the desired temperature supplied in moments. Entire system can be packaged into a space-saving footprint of only 0.7m². Intergrated control technology and control panel for simple installation and operation. Built-in PowerTrap for condensate drainage. Automatic shutoff function to prevent overheating. Hot water supply for the food industry, chemical and pharmaceutical manufacturing as well as for buildings technology.